This year is the 15th anniversary of the Law School Survey of Student Engagement (LSSSE). In just a short decade and a half, LSSSE has collected over 350,000 law student responses from 200 law schools forming one of the largest datasets that captures law student voices and experiences in law school. My collaborators and I are grateful for the opportunity to share how we harnessed LSSSE’s remarkable dataset to illuminate student experiences with the aim of improving legal education. 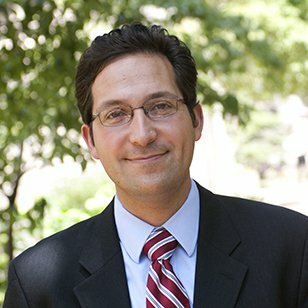 For the past three years, I have been working with an interdisciplinary team of researchers across several institutions—including Indiana University Bloomington, the University of Southern California, the University of California at Los Angeles, Wake Forest University, and Stanford University—to examine the under-recognized role that psychological friction plays in law school engagement and performance. Psychological friction can manifest in several ways, including feeling isolated, stereotyped, or feeling that one doesn’t belong (academically, culturally, or socially). These feelings of non-belonging shape the psychological experiences and achievement of students (e.g., Walton & Cohen, 2007; 2011). In 2018, in collaboration with LSSSE, we added validated survey items to a pilot LSSSE module to examine students' experiences of belonging, belonging uncertainty, and stereotype threat in law school. Indeed, this kind of collaboration is just one example of the many fruitful ways that researchers interested in studying legal education can work with LSSSE to conduct important empirical research on legal education. All students face challenges in the transition to law school, from developing new friends, to learning the legal concepts and professional skills explored in first-year courses, to building relationships with professors. But law students from disadvantaged social backgrounds, including racial and ethnic minority students and first-generation college students, may wonder whether a "person like me" will be able to belong or succeed in law school and the profession. One consequence is that when disadvantaged law students encounter common difficulties in the critical first weeks and months of law school—such as critical feedback from professors using the Socratic method, difficulty reading cases and materials, difficulty with legal writing exercises, or an absence of feedback—these difficulties can be interpreted as evidence that they may not belong or can’t succeed. This negative inference can become self-fulfilling for all students—and especially for students from disadvantaged social backgrounds. These worries about belonging and potential are endemic in legal education, occurring at all stages of students’ early legal careers—from the transition to law school, to mastering daunting course material, to the disciplined synthesizing of information required during bar exam preparation. When students worry that they may not belong in law school, they are more likely to experience anxiety that can interfere with learning and are less likely to reach out to faculty, join study groups, seek out friends, or succeed in the law school environment over time. As such, feelings of belonging may be one important predictor of law school engagement and success. By analogy, one study with a large group of undergraduate students found that pre-college worries about belonging in college (e.g., "Sometimes I worry that I will not belong in college.") predicted full-time college enrollment the next year, even controlling for high school GPA, SAT-score, fluid intelligence, gender, and other personality differences (Yeager et. al., 2016). Where do these worries about belonging come from? The quality of students’ social relationships in school is an important predictor of students’ sense of belonging in school (Murphy & Zirkel, 2015; Walton & Cohen, 2007). The quality of students’ social relationships in school shapes students’ experiences and academic outcomes. Students who have strong, positive relationships with peers and professors are more satisfied with their educational experiences, more academically motivated, perform better in school, and are less likely to drop out (Wilcox & Fyvie-Gauld, 2005; Kuh & Hu, 2001). Our research team adapted validated survey items measuring social belonging and its potential antecedents for the 2018 administration of the LSSSE survey. In this pilot module, over 4,000 students rated their experiences of belonging and belonging uncertainty by responding to items such as, "I felt like I belonged in law school," and "While in law school, how often, if ever did you wonder: 'Maybe I don’t belong in law school?'" What did we find? First, we found that the quality of relationships with faculty, students, and administrators significantly predicted students’ feelings of belonging in law school. Thus, students’ relationships in law school predict their sense of belonging there. Did law school belonging predict students’ performance? Yes. Indeed, a sense of belonging significantly predicted students’ overall experience in law school, whether they would choose to go to law school again, and their academic success (i.e., law school GPA) above and beyond traditional predictors such as LSAT scores and undergraduate GPA. Thus, law school belonging is a critical predictor of social and academic success among law students (Quintanilla, et. al, in prep). While law schools seek to enhance and maintain student success, an almost-exclusive focus on cognitive predictors of success neglects other important social, contextual, and psychological factors—such as belonging in law school. Using LSSSE data, our research team found that students’ sense of belonging influences their law school satisfaction and grades, above and beyond the effects of LSAT score. We believe that law schools may be fertile grounds for social psychological interventions. "Wise interventions" focus on changing students’ construals of their environment (Walton & Wilson, 2018), and these may improve students’ sense of belonging and academic performance in law school—especially when coupled with changes in some of the structures and practices that dampen relationships and belonging in law school. We look forward to continuing our collaboration with LSSSE and celebrate the continued growth of empirical legal education research that LSSSE affords. Congratulations to LSSSE on its 15-year anniversary! *This research program and the design of related interventions are being conducted in collaboration with: Dr. Sam Erman (co-PI, University of Southern California), Dr. Mary C. Murphy (co-PI, IU Bloomington), Dr. Greg Walton (co-PI, Stanford University), Elizabeth Bodamer (IU Bloomington), Shannon Brady (Wake Forrest College), Evelyn Carter (UCLA BruinX), Trisha Dehrone (IU Bloomington), Dorainne Levy (IU Bloomington), Heidi Williams (IU Bloomington), and Nedim Yel (IU Bloomington), and supported by funding from the AccessLex Institute.